Video taken January 18, 2019, at the inaugural Indigenous Peoples March in Washington DC, shows students from the Covington Catholic School, located in Kentucky, mocking an Omaha tribal elder while he was singing a song of encouragement. Unfortunately, what happened that day was not unusual or outside of the norm. If the students had performed the same whoops, jumps, giggles, and tomahawk chops at a sporting event, it probably wouldn’t have been noticed, much less condemned. Mascots, cartoons, caricatures. Those are the images of Native Americans that these students, and all students, are raised on. That is how the general public views Native Americans. This is not new behavior – we see it all the time at schools that have Native American-based mascots. As one student testified to the United States Department of Education, “I had to watch my classmates make posters saying we are going to ‘skin’ our sports opponents. The other teams would make posters that said they are going to send us home on a ‘trail of tears.’” Most recently, students at a Utah high school with a Native American-based mascot reported on the ridicule and harassment that they faced at sporting events and in their classes. The Utah school’s advisory committee got the message and decided that the mascot should go. 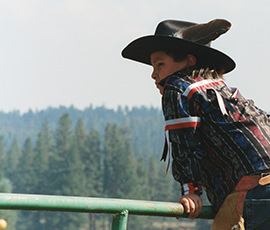 Mascots and similar imagery negatively affect how Native youth view themselves. They also affect how non-Natives view Native Americans. To the point that, when students encounter an elder singing a traditional song, they see him as a joke . . . something to mock, laugh at, disrespect. And there is no question that the students were disrespectful to Mr. Phillips. Surrounding, mocking, laughing—their behavior was nothing but disrespectful. The disrespectful actions of these students is a reflection of a history of treating Native Americans as if they are not people, but rather mascots. The Native American Rights Fund has been defending and protecting the rights of Native peoples for 48 years. 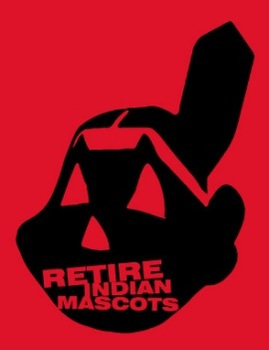 We actively fight against the hateful Native American mascots in public schools that ultimately promote these actions. We fight to protect our culture and our way of life. These students’ actions remind us that the fight for our rights and to be recognized as people, is far from over.